to the valley at Taurus-Littrow and is stained with lunar dust. 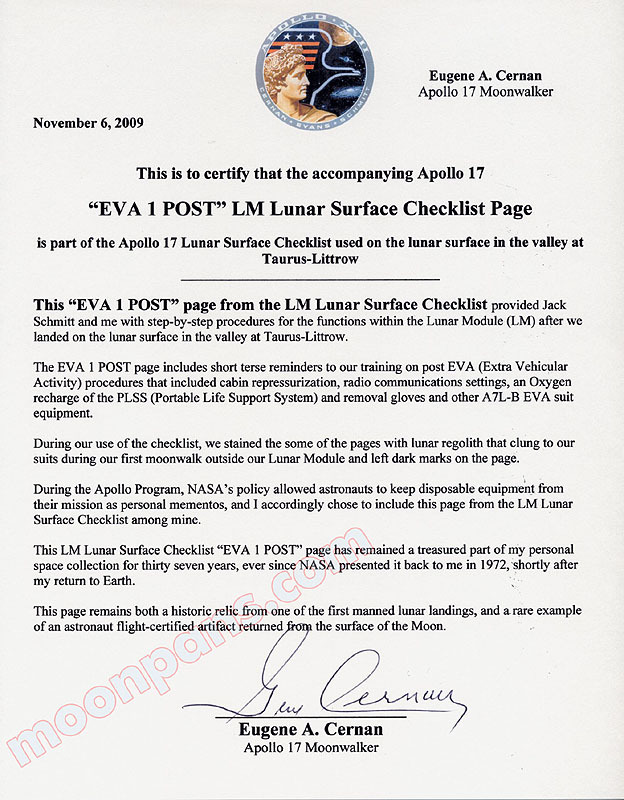 There are several smudges of lunar dust across the front of the page as seen in the accompanying photographs. 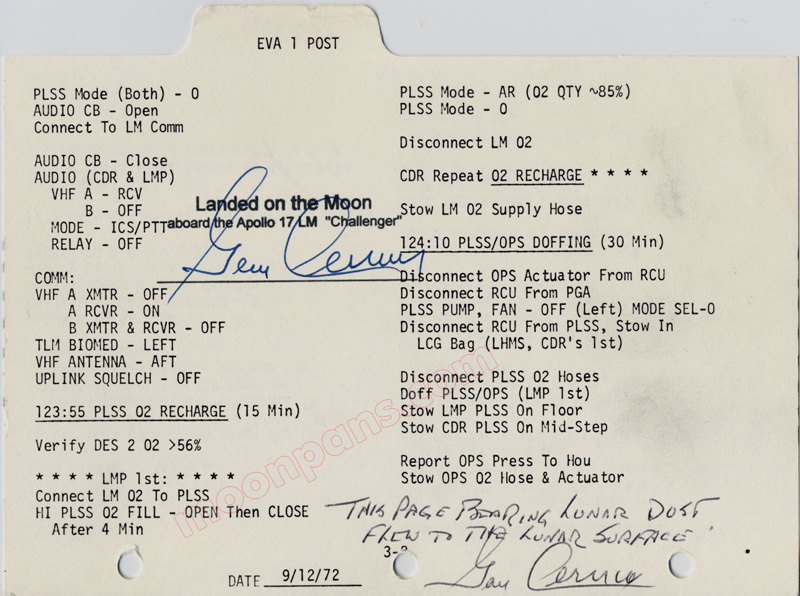 What makes this checklist page is unique in that Gene Cernan actually inscribed, in writing, that the page bears lunar dust on it. Cernan hand wrote "This page bearing lunar dust flew to the lunar surface. 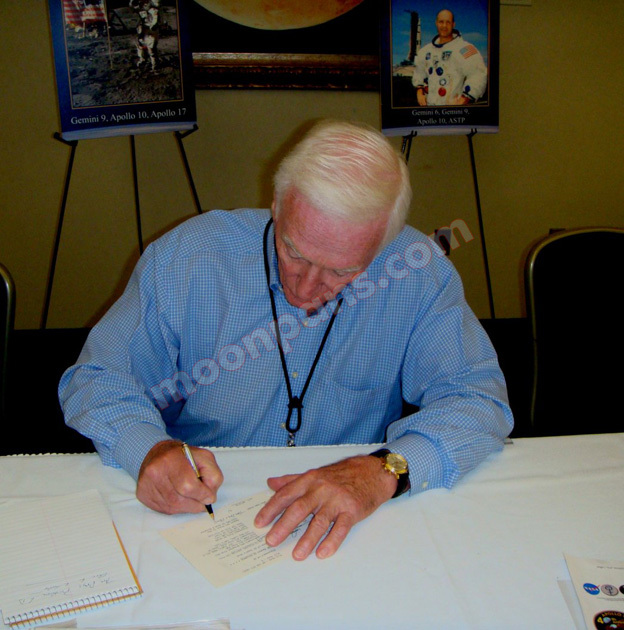 Gene Cernan" and comes complete with a photograph of Gene signing the actual page. 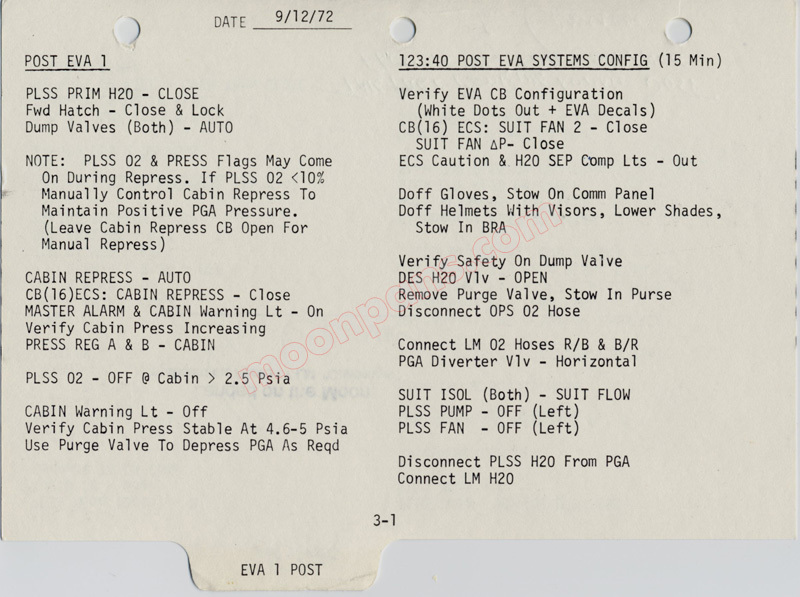 The page also comes with a certificate of authenticity in which Cernan points out, "The EVA 1 POST page includes short terse reminders of our training on post EVA procedures that included cabin repressurization, radio communications settings, an Oxygen recharge of the PLSS and removal gloves and other A7L-B EVA suit equipment." It is an artifact that was owned by the last man to walk on the Moon and was in his personal collection for thirty seven years. This page represents the only way that a sample of the Moon's surface can be obtained."